AE86, Porsche 962C and more leaked by PD, coming to GTS!? Discussion in 'Gran Turismo Sport' started by Lord Protector, Mar 28, 2019. Guys look at this, PD is obviously preparing Hachiroku - Sprinter Trueno 3door 1600GT APEX (AE86) '83 to be in the game. Honda Fit Hybrid '14 and Porsche 962C '88 and R8 Gordini '66 and Audi TT 3.2 '03 are also coming!!! the legend is coming back! lets deliver some tofu! WJHMH, Disco_Volante, chrisspeed281 and 88 others like this. bduddy, AgentBlackDog and SecretAgentZero like this. Would be the second coming after the Supra RZ. Quakebass, z71L28, AgentBlackDog and 4 others like this. Seems the same slip-up has happened with the Renault R8 Gordini, Red Bull X2014 Competition (duh), Audi TT 3.2 quattro '03 and Porsche 962C. F1LMFan, Pedinhuh, Yui-san and 27 others like this. How did u access this? I don't see that... boo hoo. You are looking in-game as opposed to through the website. Rotorist, Quakebass, AgentBlackDog and 12 others like this. Found the Gordini! oh snap! Please... please... Ford Falcon.... nope. Pedinhuh, Phlano099, JonoStan96 and 2 others like this. I'm seeing the same lists. I'm going to back up OP's claims and confirm that Inspect Element is thankfully not involved here! F1LMFan, Pedinhuh, courageC60 and 27 others like this. Shame we couldn't find out if there was an unannounced track accidentally leaked on the website as well. Started frantically looking for one through 'Race Photos' and 'Replays', but to no avail. Imagine if we found out the next track as well at the same time as these cars. F1LMFan, im_seb30, AgentBlackDog and 8 others like this. F1LMFan, Quakebass, im_seb30 and 15 others like this. JensC, Carffeine, RUI and 3 others like this. F1LMFan, silverman_GT, Outlaw2431 and 25 others like this. 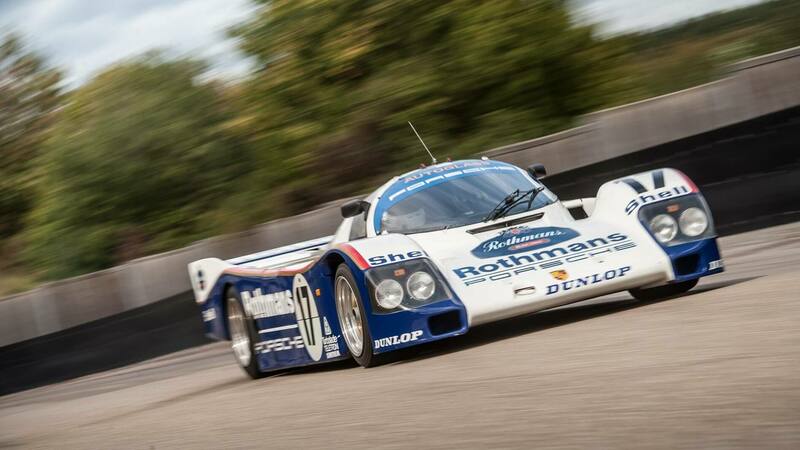 962 is the Le Mans car of my era. So hyped for that one. F1LMFan, KinLM, Carffeine and 16 others like this. GT Sport, dimassa19 and Lord Protector like this. Honestly I am so hyped for the hachiroku! dimassa19, AgentBlackDog, ca18detsilvia and 1 other person like this. Perhaps they will add a GrC and move the other cars into it too. F1LMFan, KinLM, Quakebass and 8 others like this. At least we still won't get to know what track it would be.. I couldnt find any leaked track before they removed cars. They probably didnt add track to website. Marcobzzcs, SecretAgentZero and Need4Speed685 like this. I'm excited for the Porsche. Any new Porsche added to the game is a big yes for me. F1LMFan, RUI, dimassa19 and 5 others like this. F1LMFan, Carffeine, AgentBlackDog and 4 others like this. Very happy with the Fit, my girlfriend drives a Jazz. F1LMFan, AgentBlackDog, Dave Beerman and 5 others like this. Oh snap. I assumed the X2014 Competition would come with whatever else came after the Super Formula update but this is even better. I kind of wanted a Porsche 962 so this is cool. The Renault might be fun too. And while we've definitely had the Honda Fit before I don't think we've ever gotten the hybrid before. You'd expect them to just port the RS over from GT6 but the hybrid is a neat choice. The TT and 86 are fine. AgentBlackDog and TrafficEmpire like this. I feel like the Fit might be Gr.X since it's a hybrid and all. Hope I'm wrong. AgentBlackDog and Sander 001 like this. I'm seeing the same lists. I don't suppose you guys have any larger versions of those screenshots? The GTP news site really needs images over 800px wide, and the largest images I'm seeing here are up to 800px wide but include all the framing of your desktop, tabs, taskbar etc. F1LMFan, Quakebass, AgentBlackDog and 6 others like this. It's N100. It has a seven-speed gearbox. AgentBlackDog, VXR, KayX23 and 4 others like this. This article was published by Andrew Evans (@Famine) on March 28th, 2019 in the Gran Turismo Sport category. TheProRacer, Quakebass, im_seb30 and 8 others like this. Please, I haven't even gotten around to today's content and there's already more good stuff coming! F1LMFan, im_seb30, AgentBlackDog and 9 others like this. I must manage to stay alive long enough to test the AE86 at Tsukuba and Suzuka. F1LMFan, Castrol96, RUI and 15 others like this.